This sparkling green mica is a variety of muscovite colored by chromium; the same element that colors emerald and ruby. Micas, like muscovite and biotite, are a common additive in make-up because they are soft and add twinkle to eye shadow, foundation, lipstick, and other cosmetics. 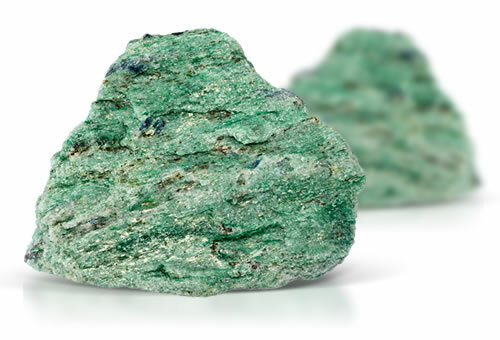 Fuchsite is the chromium rich variety of muscovite.